Location: Frances Walker Slocum Papers, RG 30/222, Box 1, O. C. A. In a uniquely European-heavy program, Frances Walker-Slocum performed one work by a Black composer, Samuel Coleridge-Taylor. Walker-Slocum rarely let a concert go by without performing a Black composition, as she believed each concert was a platform for advocacy and redefinition of the classical genre. 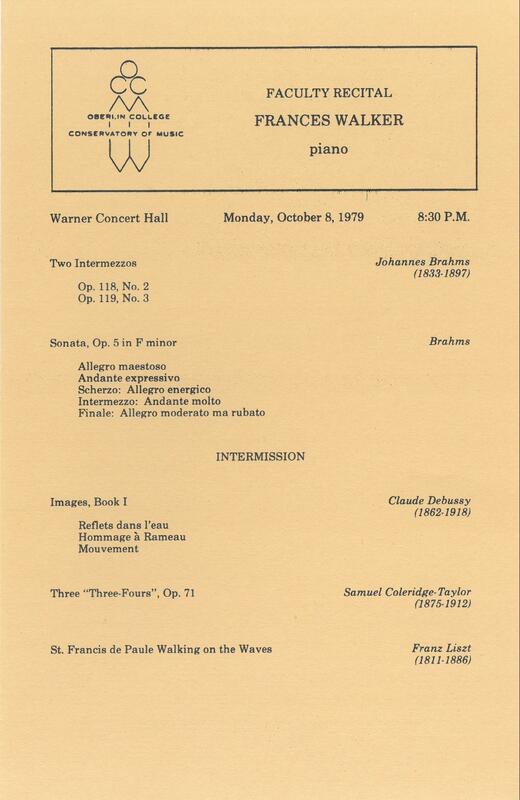 Warner Concert Hall Monday, October 8, 1979 8:30 P.M.